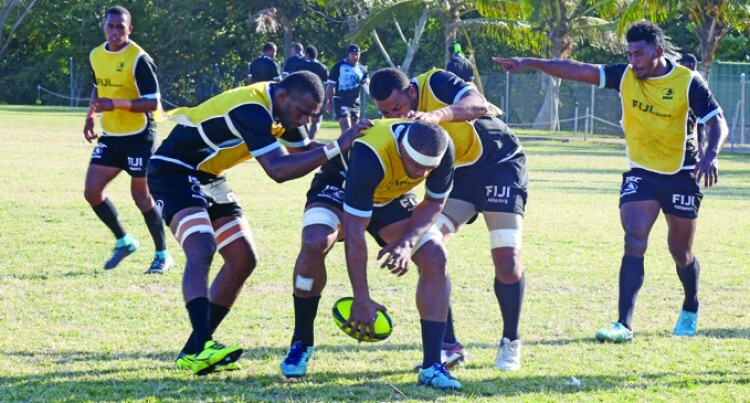 Whilst we respect our opposition we cer­tainly do not need to fear anyone, says Fiji Airways Fijian Drua’s forward and defence coach, Brad Harris. Speaking to SUNsports yesterday during their training session Harris said, two key areas they have been focusing on are the front rows and their line-outs. The former Canberra Vikings head coach add­ed that there is a lot of nervous energy around in camp but he is confident of a good result. “We’re confidently building the front rows and the lineout continues to be an area that we will continue to work on,” Harris said. “These two areas will be the key on Saturday and if we can hold our load in those two areas and get our fair share of football I think that will certainly give us the a good result. Harris said the selection of the 11 Fiji Airways Flying Fijians reps would be a good challenge for the young boys. “Those cap Flying Fijians are young boys so this is a very important tournament for them to gain more exposure than they would usually get with the Flying Fijians come game day.